Centuries ago, when the “Central Empires” flourished, representatives of “barbarian” missions (i.e., foreign diplomats and other subjects) were required to kneel three times and even prostrate themselves with their heads on the floor nine times while the Chinese Emperor, the Son of Heaven, sat unmoved on his high throne. This protocol of solemn reverence to the celestial supreme power, known as the kowtow, was necessary for maintaining friendly diplomatic and commercial relations with the Beijing Empire. The basic aim of this Confucian court ritual was to show public respect and submission towards a superior; in other words, to openly acknowledge the Emperor’s hierarchical rank with regard to his subjects or vassals. Today’s times of upheaval appear, among other numerous and pernicious effects, to have rescued this embarrassing ritual belonging to the etiquette of the exotic Far East. 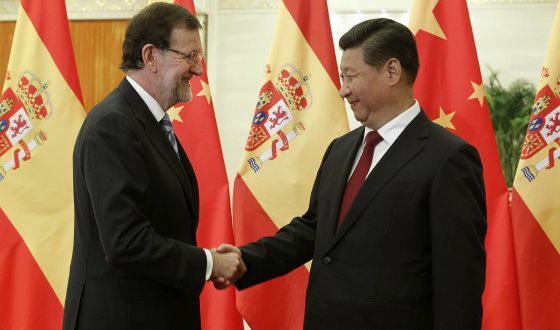 Although the differences are not subtle, and today’s new kowtow has been performed by the Spanish Government before Beijing’s new leaders, who instead of sitting on a divine throne, sit in the soft armchairs of the Chinese Communist Party’s Politburo while amassing million-dollar fortunes in fiscal paradises that secretly evade the law and Maoist utopia. Whatever the case, this initial return to the imperial past has turned out to be a matter of imperative necessity, as economic interests had to be safeguarded and the Spanish debt placed in the hands of the new oriental owners, as our Foreign Minister García Margallo openly admitted. The first time this kowtow was acted out in public was on 17 January 2014 when the spokesman of the Popular Parliamentary Group, Alfonso Alonso, presented the Spanish Parliament with a bill to modify Organic Law 6/1985 of Judicial Power, of 1st July, regarding universal justice. Once again, international law was invoked in an attempt to violate the most fundamental values and principles of international law itself. The explanation also took a quantum leap into the distant and obsolete past improved upon in international law, returning to a time when human rights were the preserve of states. Thus, international treaties and commitments signed in Rome, which led to today’s International Criminal Court, were unashamedly invoked in order to cut short decades of a tireless fight against impunity initiated as a last resort for victims of forgotten and ignored international crimes. Indeed, universal jurisdiction was being used as the only lifeline from which to lodge cases against heinous international crimes that had not succeeded in obtaining effective guarantees of protection in the conventional and extra-conventional international systems of the United Nations or in regional human rights courts, let alone in the very discredited International Criminal Court. Thus, when a new globalisation of justice began to take its first steps enabling unacceptable black holes in the international sphere to be tackled, which pointed to the leaders of some of the countries with veto powers in the Security Council, political alarm bells began to go off. It was at this point that it was decided to take a second Great Leap, not Forwards as the Great Helmsman had, but backwards into a past that seemed to have been overcome. In effect, this new law has returned to an outdated past in order to rescue the principle of non interference in internal affairs and thus safeguard and protect political and military leaders who, in addition to committing genocide and torture, are first and foremost first-class commercial partners. And how they have gone to the aid of the Chinese leaders! Only weeks after passing the reform of universal justice, the Tibet and Falun Gong cases against the leaders of the Chinese Communist Party were stayed by the Plenary of the Special Court’s Criminal Court, with the agreement of the public prosecution, although five of the investigative judges voted against. The political favour of closing the judicial investigation had to have its recompense. Thus, to call in the favour, on his official visit to Beijing accompanied by the CEOE (the Spanish Confederation of Business Organisations), Rajoy will have to perform the last submissive prostration of the kowtow ritual and once again kneel before the de facto powers of China, while never losing sight of large corporate interests. It is clear that defending the Spain brand seems to require this humiliating obsequiousness. Europe and Spain are in crisis, but the economic recession is not the principal factor or its original cause. The crisis has its roots in the disintegration of the so-called values of European identity (those of Article 2 of the Treaty of Lisbon), which should in fact be an international point of reference. If democracy and human rights in Europe kowtow to autocratic and corrupt powers like those of China’s current regime in order to save our public debts and the million-dollar investments of trans-national companies, further poverty will be inevitable: social, legal and even ethical poverty. José Elías Esteve Moltó is a professor of public international law and secretary of Valencia University’s Human Rights Institute. He is the author and researcher of the Tibet lawsuits lodged in Spain’s Special Court.